Ultra Space Battle Brawl 4-player arcade action mashup. 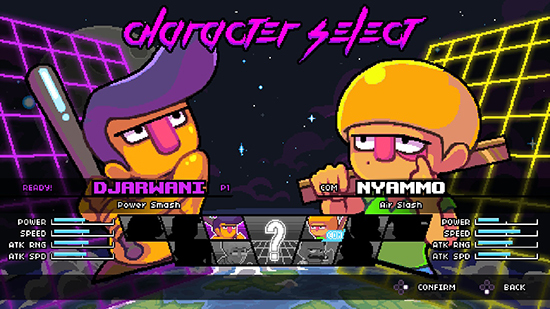 Ultra Space Battle Brawl is a local multiplayer party game about a cosmic competitive sport that could best be described as “Pong meets baseball on steroids”. Having already received praise upon launching on Nintendo Switch earlier this summer, Ultra Space Battle Brawl tasks players with protecting their diamond, and destroying their opponents’, by deflecting a ball projectile back and forth.